It’s already cost more than $2 million to keep Aroostook’s roads clear of snow. The season has only begun. Through the beginning of December, the Maine Department of Transportation has spent more than $2 million to keep Aroostook County's roads clear of snow. PRESQUE ISLE, Maine — The early and abundant snowfall in Aroostook County so far this fall caused the local region of the Maine Department of Transportation to spend significantly more on snow and ice removal during the 2018-2019 season than in recent years. Region Five of the Maine Department of Transportation, which covers all of Aroostook County as well as Northern Penobscot and Northern Washington counties, receives $27 million annually from the state Highway Fund and typically reserves $12-$13 million for winter road maintenance. As of Dec. 7, Region Five had spent $2.1 million of that budget whereas it only spent $700,000 at this time of the year in 2017, according to local DOT manager Bob Watson. Throughout the region’s 900-mile coverage area crews have used about 8,000 tons of salt to cover the roads during major snow, sleet and freezing rain storms so far, while in 2017 they only used close to 2,500 tons. According to the National Weather Service based in Caribou, the city has seen 35.8 inches of snow thus far this season, 19.7 inches above average for early December. Last year at this time Caribou had only received 4.6 inches of snow. The nature of the snow itself has also led to the early season snow removal being slightly more difficult than in more average years, Watson noted. Watson, whose office is located in Presque Isle, has been the DOT region manager for 12 years and said he had yet to see an early winter with so much heavy snowstorms until this year. His region employs 175 people and operates 80 DOT-owned plow trucks during snow and ice storms. Despite the early storms, December has been relatively quiet in terms of snowfall in Aroostook County, with the NWS not predicting major snowfall for the week of Dec. 9-15. But this weekend officials expect cold arctic air to produce temperatures only in the teens, with isolated snow showers and blowing snow throughout northern Maine. 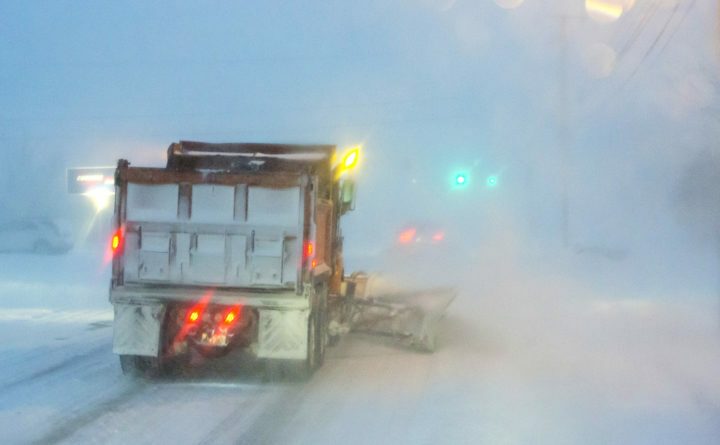 In the event that the heavy snowfall picks up again and continues, forcing the DOT to use large chunks of its budget, the Region Five manager could potentially seek additional funds from the state to assist with the unexpected snow and ice removal expenses. But for now Watson said his office is taking things one week at a time and hoping that the early snow might signal somewhat less precipitation in the months to come. When snowfall does occur Watson encourages drivers to stay cautious while on the roads and be considerate of DOT plow truck drivers. This was originally published in The County.